Our “ABSOLUTE CLASSIC” workshop is far more advanced and detailed than other classes offered in USA, as we are going to concentrate on practicing. Two days of training: 1 theoretical day and 1 day of practice – you will become one of the best and there is no other way! We made our class small to make sure that you have plenty of one on one time with the instructor. We hire live models for our students, therefore, you will learn how interact with clients from the first day of the class. VERY IMPORTANT: Once certified you will receive your eyelash extensions certificate. Many U.S. states require an esthetician or cosmetology license for the application of eyelash extensions. Therefore anyone is welcome to attend the hands-on workshop but will only be given a certificate NOT LICENSE. Knowledge of licensing is students responsibility. Please remember, knowledge of your state requirements is YOUR responsibility!!!! 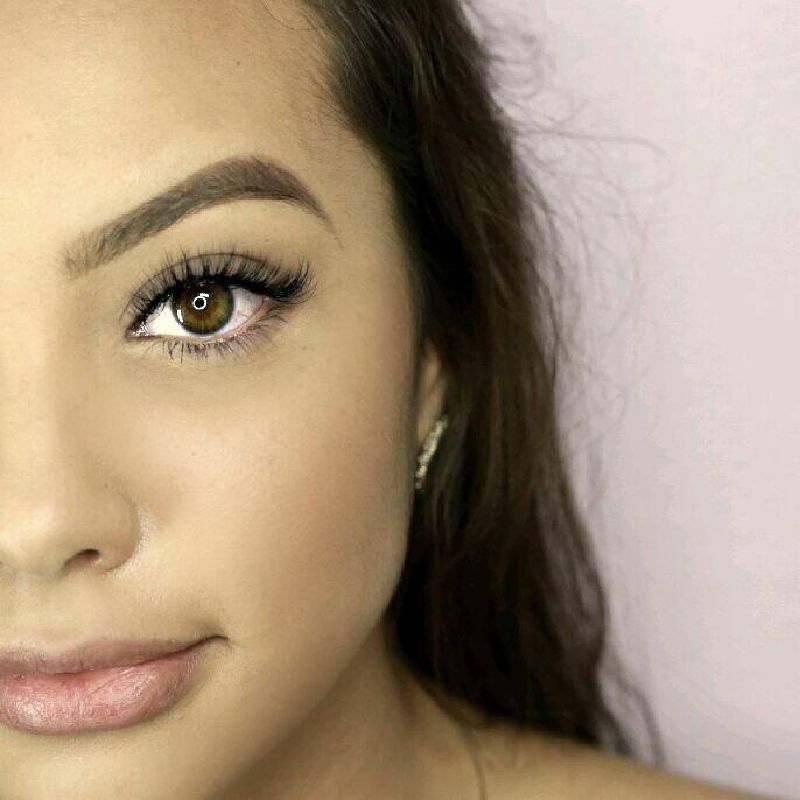 Eyelash extensions are taking the industry by storm! 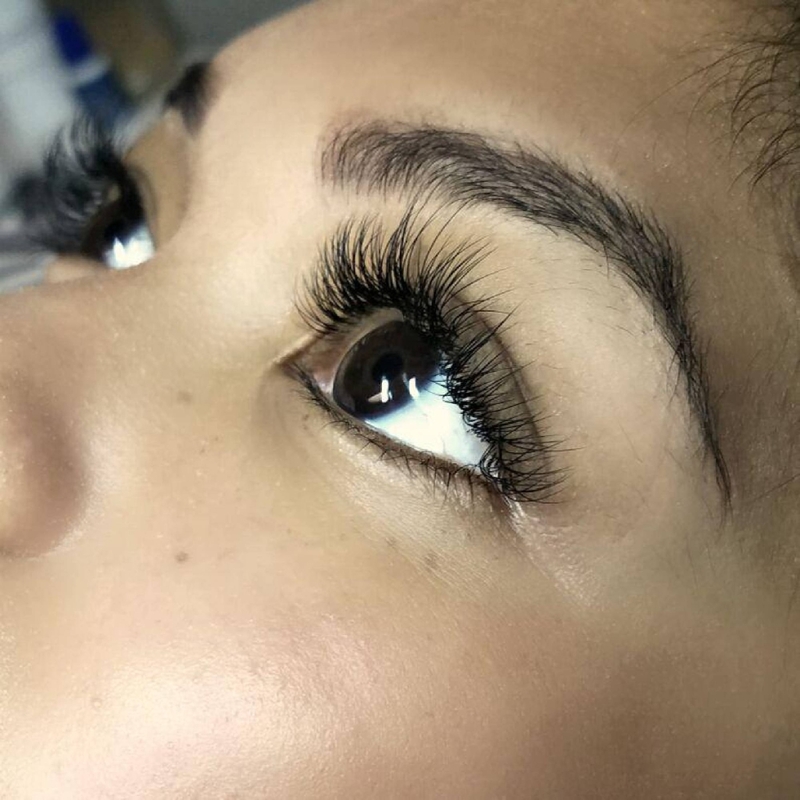 Applying extensions to the eyelashes is a practice that enhances the length, thickness, and fullness of natural eyelashes. The Eyelash Extension industry is booming right now! Now is just the best time ever to enter the market and there is no better opportunity to have professionals to support you. 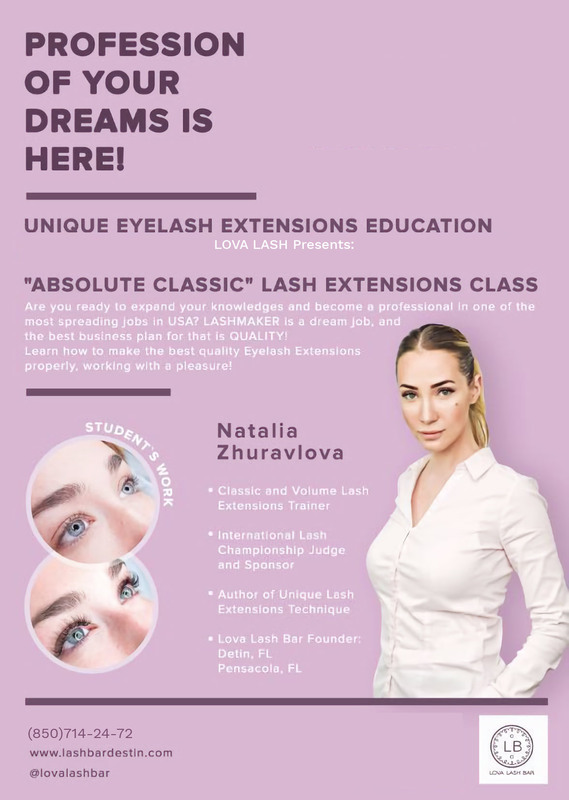 Our Eyelash Extensions certification workshop “ABSOLUTE CLASSIC” was created for beginners who either have no experience in eyelash extension application, or those who have worked in the industry and would like to improve their techniques. 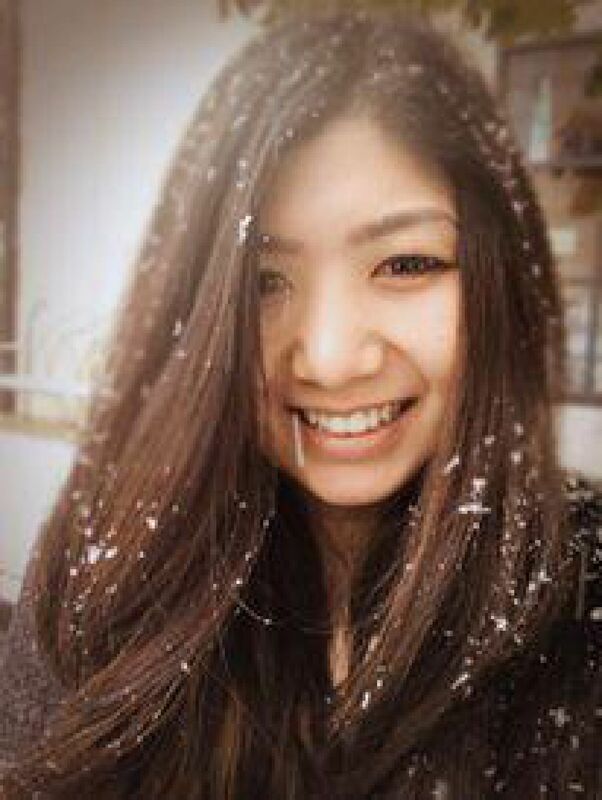 Eyelash Extension business also considered ideal for students and stay at home moms who would like to have extra income as well as work on your own time. 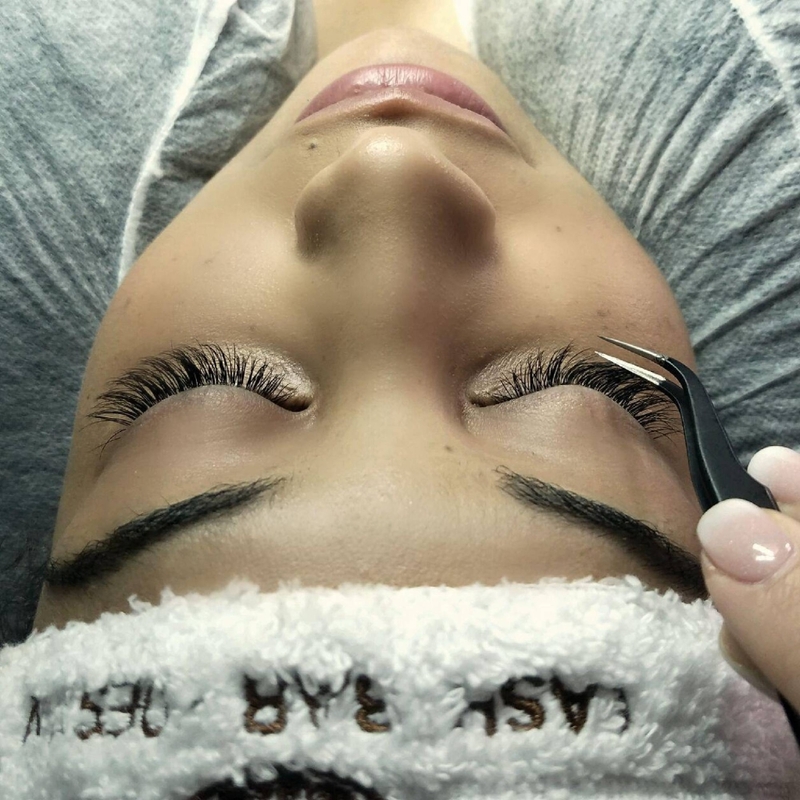 Our CLASSIC EYELASH EXTENSIONS training is far more advanced and detailed than other classes offered in USA, as we are going to concentrate on practicing. Private Volume class and Microblading class are available! 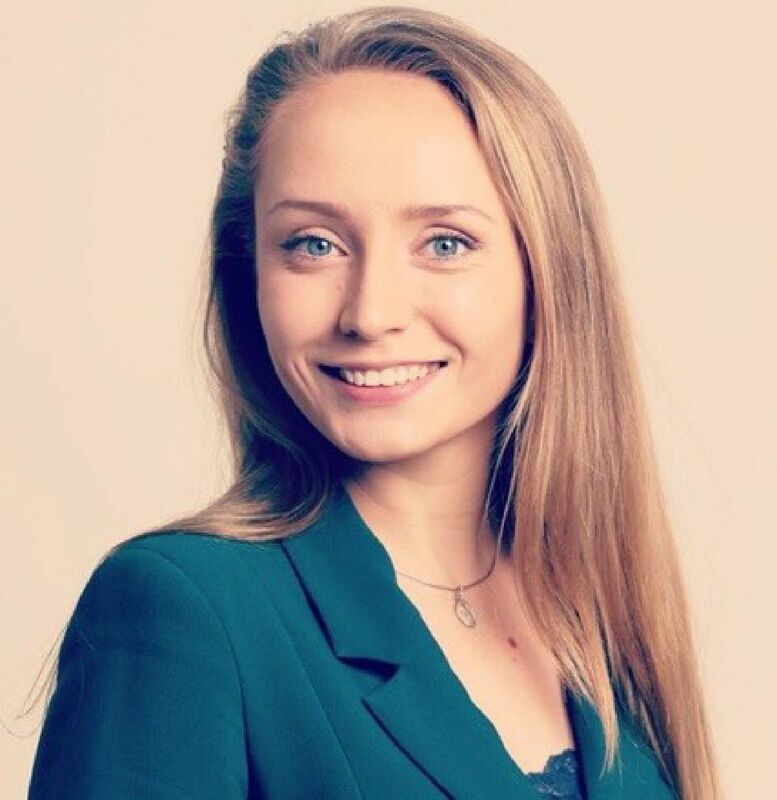 Workshop Developer – Natalia Zhuravlova. ♕ Founder and CEO of Lova Look in USA. ♕ Owner of "Lova Lashes" Lash Products. -	Main SECRETS of lashing process! Weekly income: based on 12 clients per week. 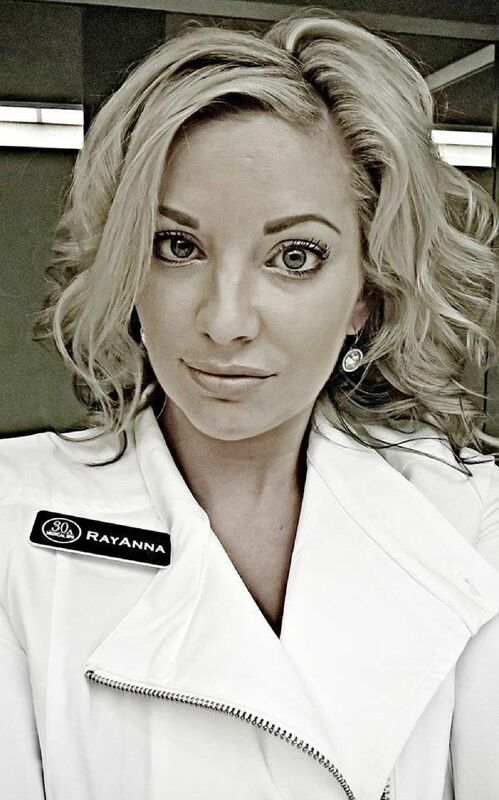 If you are interested in learning the art of eyelash extensions, Natalia will exceed your expectations! 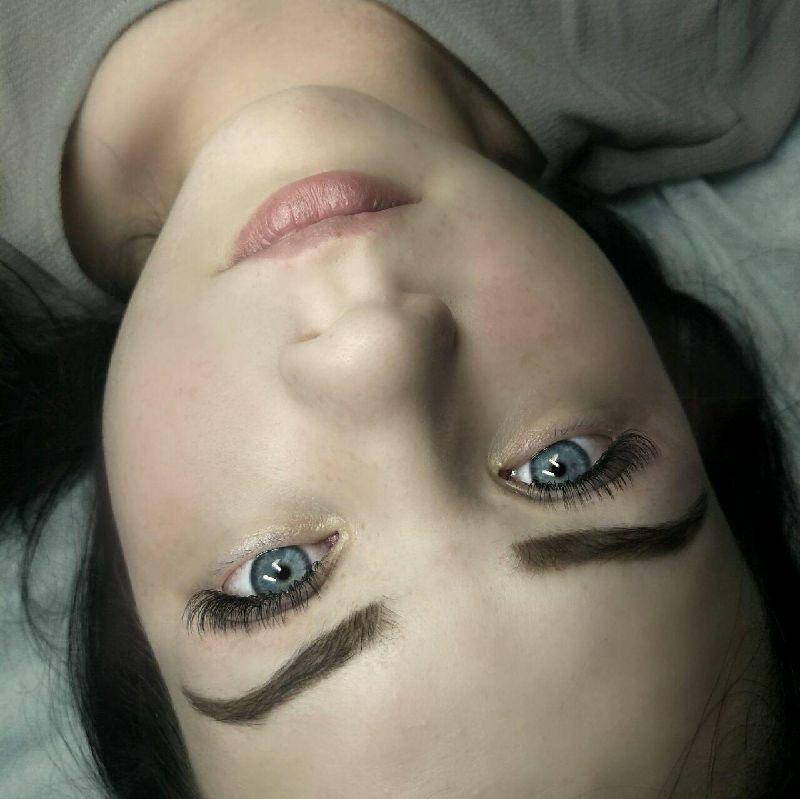 Natalia is amazingly talented and her patient and sweet demeanor are a winning combination. I learned so much from my course with Natalia and highly recommend her! Natalia is the sweetest lady and great teacher! She takes her time to teach step by step and even I already have an experience and got an eyelash extension licenses from many other classes, still learning from many technician but Natalias style is different. She cares about every single lash to stay on the right place and right direction! This course was wonderful, it answered all of my questions and then some. I am feeling more inspired now than ever to continue building my practice and create unique creative styles for my clients!